Archives for category: Feel good. Do good. I’ve often sat back after a nice meal, totally satisfied that I am full to the brim and could not possibly fit in one more bite, and thought to myself – What happens to all of the food that gets made that isn’t purchased? It was always depressing to consider a kitchen full of unwanted delights being thrown out unceremoniously into a landfill and the hungry mouths who would be grateful to claim any of it. Well apparently i’m not the only one who feels this way. Thank goodness for Kaibosh. 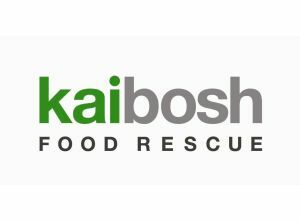 Kaibosh are a Wellington based organisation dedicated to rescuing food that would otherwise spend the rest of it’s existence degrading in a rubbish pile. We’re just not talking about mouldy old prunes here either. Kaibosh rescue surplus food from retailers which is good enough to eat but not good enough to sell and they resdistribute it to charities working with people who need it. So far, in 2011 alone, these fine people have rescued 3.6 tonnes of food for redistribution. To put that into some sort of perspective, that’s the equivalent of 21,176 pies! Not bad at all. According to the Ministry for the Environment in New Zealand, the average person throws out 70kg of edible food every year. A truly terrifying figure. Not only is this completely shameful when you consider the population of the world who don’t have enough to eat, but also consider that food waste thrown into landfill also contributes to the increase in destructive greenhouse gases. If you’re a business and you want your surplus food to go to a good home, get in touch with the awesome people at Kaibosh at foodrescue@kaibosh.org.nz. They can even come and collect it from you, because they’re just that good. My challenge to you out there is a small one. Next time you open your fridge door, spend 30 seconds looking inside. Rather than wait until your creamy Greek yoghurt has a decidedly green tinge, think about how you can use it today. See? Easy.